Whether you are considering Camp Echo Lake for your future camper, or you are interested in learning more details about the developmentally progressive program that your current camper is experiencing, you will find valuable information about our programming in this series of articles. 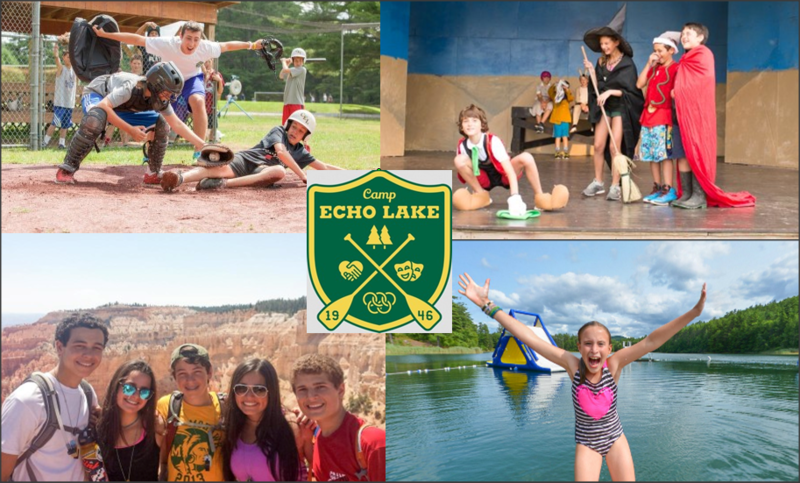 At Camp Echo Lake, our diverse and exciting program offers something for every camper in our four core activity areas: Athletics, Creative and Performing Arts, Aquatics and Outdoor Adventure Activities. From now until the start of camp, we will be featuring a more in-depth look of each area separately. These articles will be published on The Trail on a monthly basis. Intentional programming is a big part of our focus on human development, and we begin with the end in mind. Activity instruction is always designed to be hands-on, age/skill level appropriate and developmentally progressive. In order to meet the needs of each camper, and keep their excitement level peaked, the program for each age group is unique. Since no two summers are the same for our campers, there is always something for them to look forward to as they grow up at Echo Lake. The best of both worlds! Four weeks traveling as a group out west, bookended by being at Echo Lake as a camper. By providing high-level instruction in an encouraging, supportive environment, campers are afforded the opportunity to develop their skills in areas of passion. Additionally, our caring staff is dedicated to helping campers step outside of their respective comfort zones to try a variety of activities. Through a mixture of scheduled group activities, electives, clinics, inter-camp games and tournaments, there are a variety of ways for campers to enjoy and challenge themselves in both non-competitive and highly competitive ways.